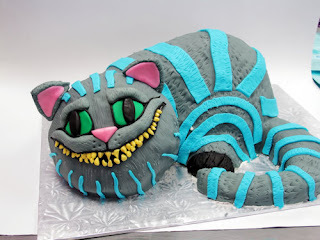 Alice in Wonderland is one of my favourite stories. 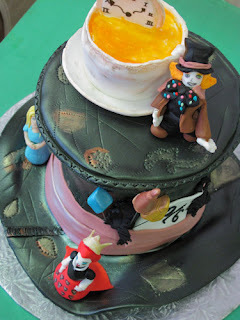 From the mad hatter to that crazy Queen...it's all so fantastical! 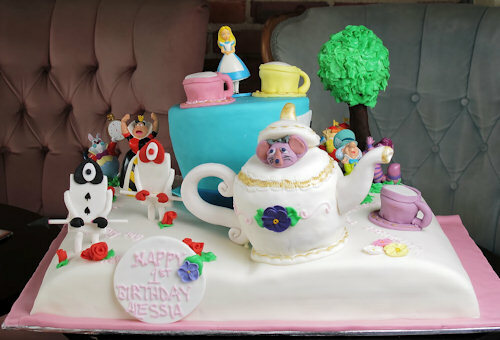 We have created many different Alice in Wonderland themed cakes over the years and they just keep getting better and better! So, if anyone wants to challenge us with a 3D bust of the Mad Hatter, we're all for it!!! Spectacular tiered Birthday cakes (this first one was inspired by another cake decorator whose name I will reference as soon as I found out who s/he is...our client brought us a photo they found online). 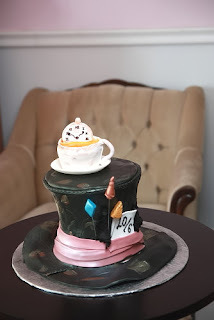 Tim Burton's Mad Hatter's Hat (I think we liked it better without the fondant figures)...and I probably could have made more hat pins, though there are some fondant feathers as well. ...and of cousre the Chesire cat in 3D created by 2 of our Whimsical Designers (Aislinn and Heather)...sometimes I swear some of our cakes look like they're about to talk! If you haven't seen the movie yet, you must! Simply for Helena Bonham Carter portrayal of the Red Queen. "Where are my fat boys? You must meet them. Fat boooys!....I love my fat boys. Now get out." How beautiful pics! 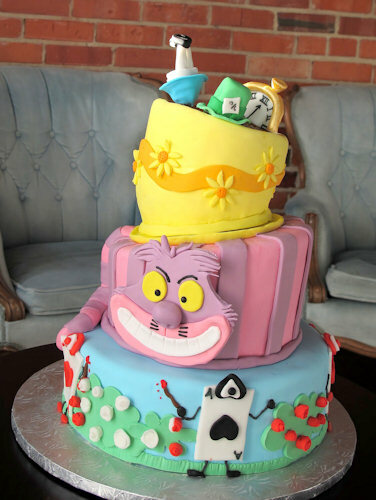 Love the 3D story book cake. wow! 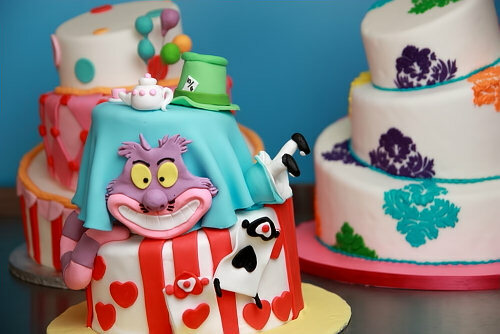 Those cakes are awesome! You have an amazing talent!